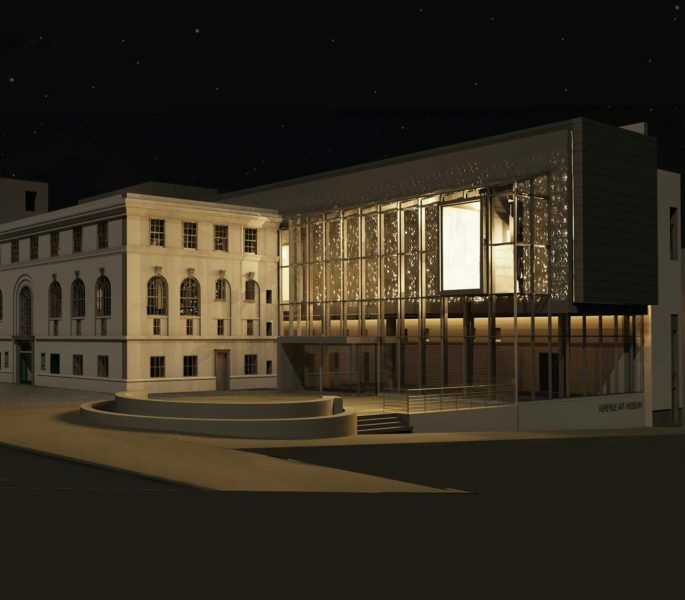 The new Asheville Art Museum's facade will feature a prominent perforated pattern. Our gallery is closed this week for installation. We are busy installing our new exhibitions Red Hot in the Blue Ridge and Making It New, which open May 19!